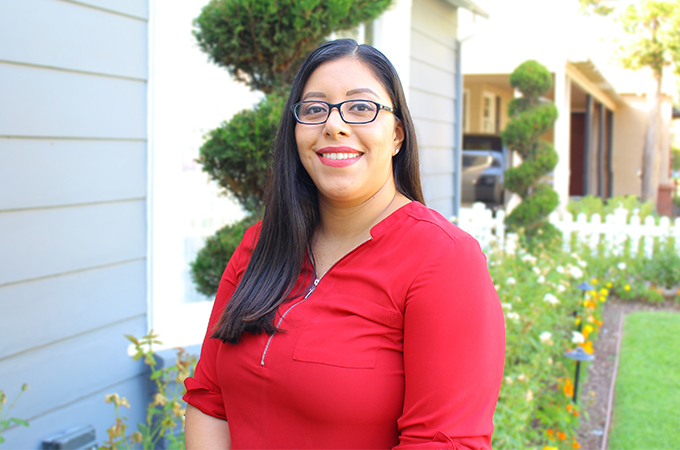 As a career educator, Jessica Chavez ’19 knew it was time to take the next step toward advancing her education after working at Orange Country Educational Arts Academy (OCEAA) for nearly a decade. After looking at different graduate programs, she decided to enroll as a Master of Arts in Learning and Teaching (MALT) student at the University of Redlands School of Education, South Coast Metro campus. The purpose of employing a PBIS approach in a school is to establish a climate in which appropriate behavior is the norm. A large part of Chavez’s responsibility is encouraging students and spending time with them to work through the issues they may be facing both at school and at home. As a behavioral specialist and student advocate, Chavez took a particular liking to an educational philosophy course she took at the U of R. “We examined the socialization and marginalization of students and focused on the social justice aspect of education,” she says. With a mission of nurturing all students and encouraging them to become creative, critical thinkers through arts-, technology-, language-, and culture-based instruction, OCEAA is a Spanish language dual immersion school. Dual language immersion promotes bilingualism and biliteracy, as well as cross-culturally competent students. Beginning in kindergarten, students attend classes taught 90 percent in Spanish and 10 percent in English.